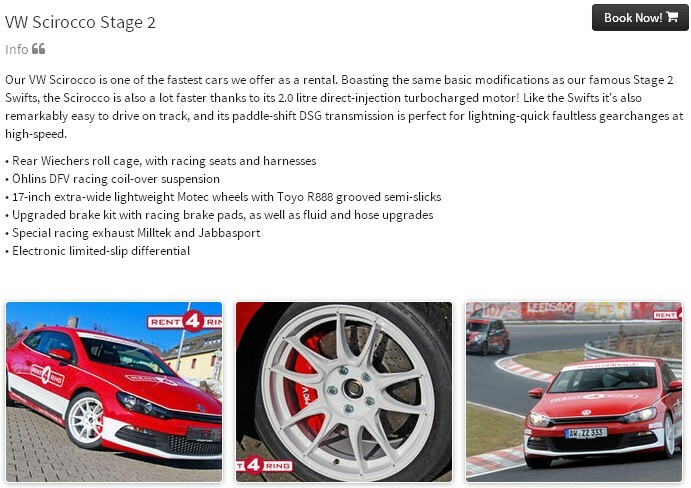 My Dad and I will be driving the Touristenfahrten sessions on Sunday (full day) and Monday (evening session). 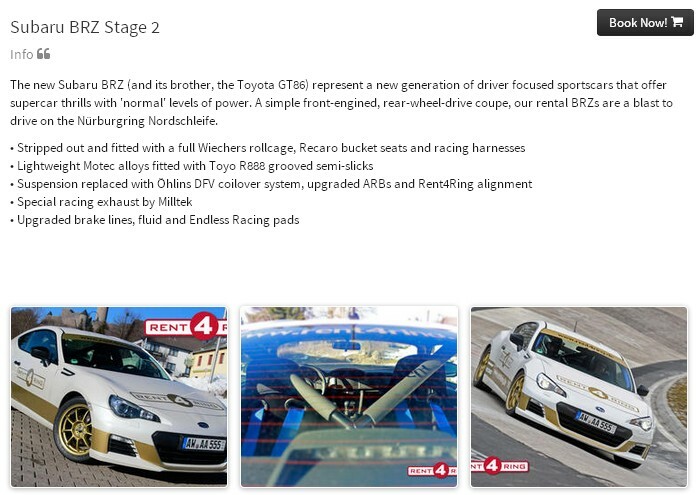 We have a Subaru BRZ for Sunday and a VW Scirocco for Monday rented from Rent4Ring. Dale Lomas over at bridgetogantry.com has been super helpful in getting our rental squared away and answering my 'Ring-newbie questions. I will be posting some updates to the blog during and after the trip hopefully with some cool photos and videos from the Nurburgring and the rest of our trip to Germany including the BMW Museum in Munich! Auf Wiedersehen. 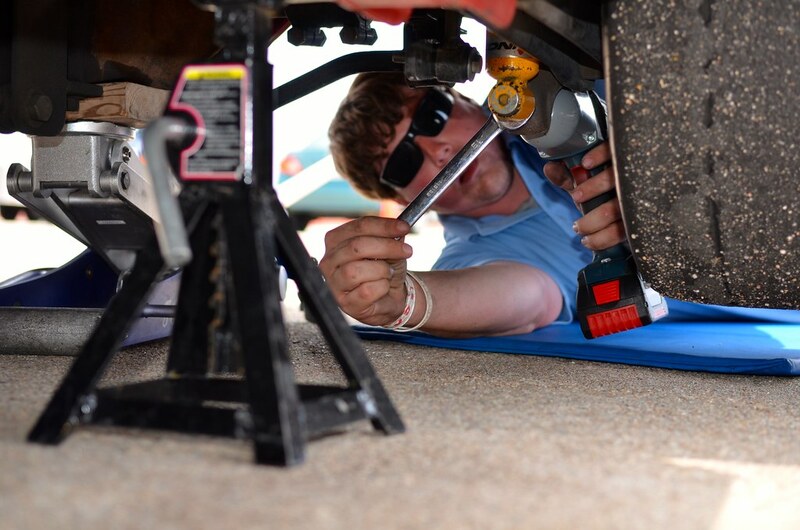 On the weekend of June 15th and 16th, the SCCA Match Tour planned for Mineral Wells was unfortunately cancelled due to low entry count. The most likely reason was that the 16th was Father's Day, but nonetheless 85 entries did not cut it and the SCCA had to bin it. 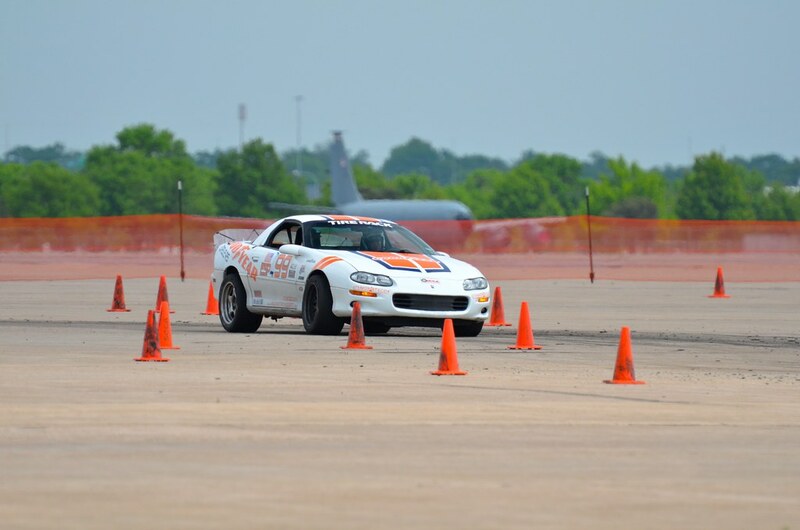 In order to salvage the weekend, my Dad (who already had a flight to TX booked) made plans for a practice day at Mineral Wells on Saturday and an a PCA club autocross on Sunday. 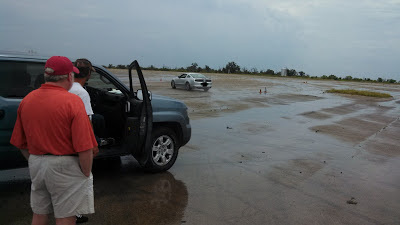 It was a pretty small crowd at Mineral Wells on Saturday and we had two separate courses setup with a skidpad. We had a few hours of dry running before the rain came down which was a bit of a buzzkill, but we used the opportunity to log more laps and get seat-time in drying conditions on race tires. We also had a bit of fun in someone's rental cars including some reverse lapping and a National Champion lap time battle. There was a bit of controversy over who won so we we'll keep the results off of the web....however my Dad put in a good showing against 4 guys with a combined 12 (I think) National Championships. On Sunday, we autocrossed with the Maverick Region PCA club at Pennington Field in Dallas. It is a fairly small lot but has very coarse concrete that provides tons of grip. We got a total of 9 runs and had a great time in good weather. My Dad made huge improvements through the weekend. I think we had a bit of a breakthrough on how to find pace with the Camaro. He had a smoking final run and came home 4th overall. I had a close battle a 2012 ZR1 who took home FTD and got me by about a tenth. My 3rd run in the afternoon was my quickest at a 33.341 and I could not find more pace on my final two runs.....the last photo below may help explain that! 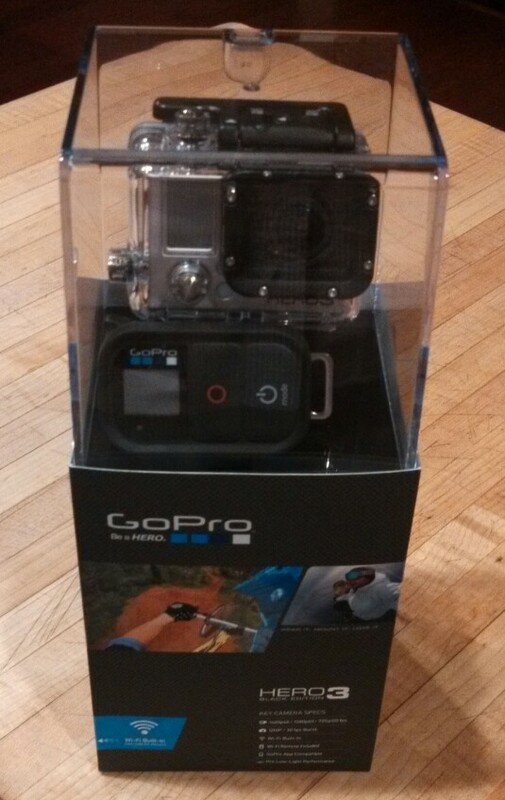 My loot for winning the SCCA GoPro video of the month arrived....can't wait to put it to good use! 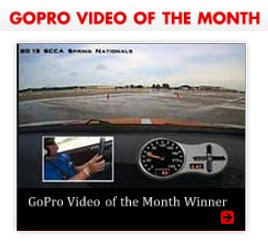 SCCA GoPro Video of the Month Winner! I submitted the onboard video from my sideways Day 2 wet run at the Spring Nationals for SCCA's GoPro Video of the Month contest. The SCCA Staff selected my video for the Top 3 which put my video along with two others up to a vote on the SCCA Inc. Facebook page. My video received the most "Likes" and I won a new GoPro 3 Black Edition. 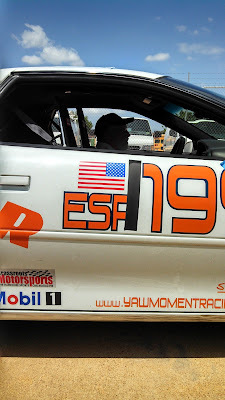 My video will also be on the SCCA.com home page for the month of June. Thanks to all of my family, friends and fellow autocrossers for the votes! I can't wait to start using the spiffy new GoPro for more in-car video! A few days after getting back from Lincoln, Ali and I turned around and headed to Dallas for the weekend. 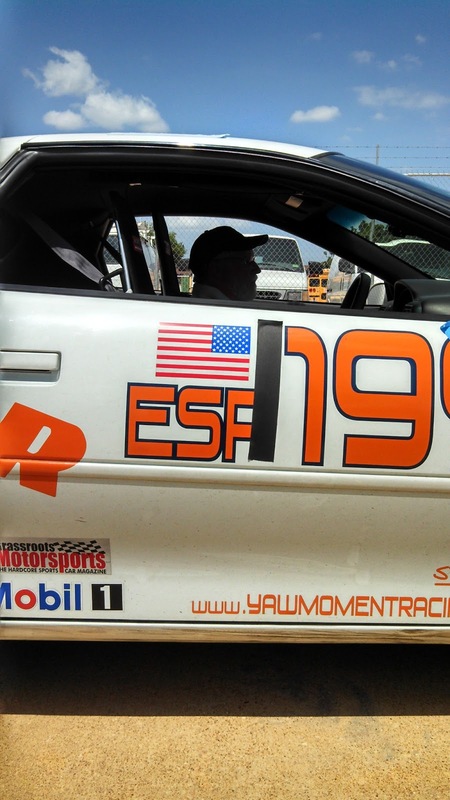 David Whitener offered me a co-drive in his STS CRX of National Championship and Grassroots Motorsports tire testing fame. I was really looking forward to driving his car because I know how well sorted and tested the car is. It did not disappoint. Thanks David! 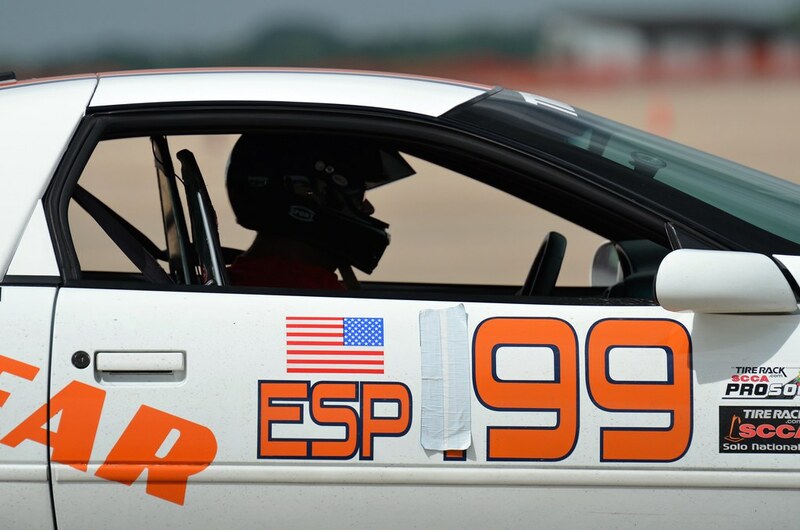 I had my best finish of the season so far in the ER X-Pro class (PAX based) taking home 2nd place behind my co-driver, Mr. Whitener, who took home Top PAX. I finished 2nd in PAX so it a successful day for the little Honda! 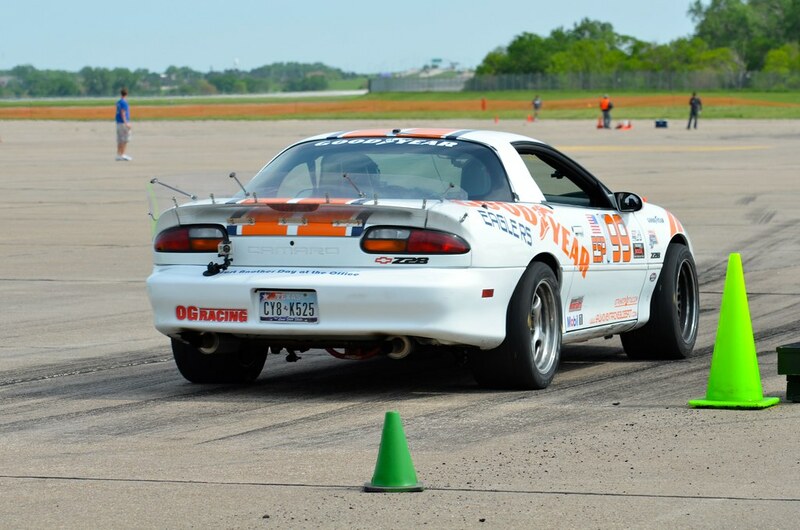 It's been a week since I got back home from the SCCA Spring Nationals. I had another local event this past weekend, but now I am in the office watching the Isle of Man TT and it's time to write a few race recaps. We arrived in Lincoln on Thursday the 23rd. 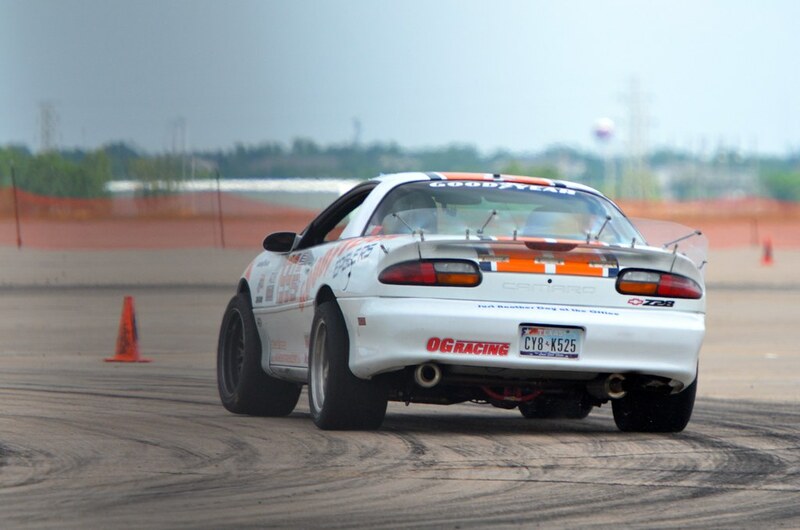 The Spring Nationals consists of a ProSolo on Friday and Saturday followed by a Championship Tour event on Sunday and Monday. 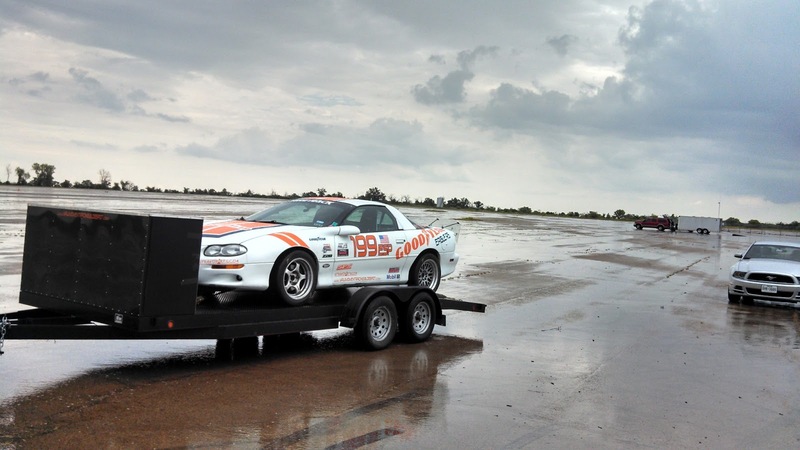 I have changed the setup on the ESP Camaro since we were last in Lincoln, so we got the car unloaded quickly and I hit the test and tune course for a few dial in laps. The balance was better than last year so we didn't make any changes before Heat 1. Dad telling me how to go fast! The forecast basically called for a chance of showers and thunderstorms each day. This meant that every Heat was very important for the ProSolo because you never know when it will be your last dry session (your fastest time in any of the heats from the left and right courses make up your total time). We had 10 drivers in ESP and I finished 2nd behind John Hogan after the 1st Heat. I red-lit on my 2nd right side run by about 2 hundredths, but the raw time would be have been good enough for 1st....if it had rained after Heat 1 that would have been a massive disappointment. Luckily, we stayed dry for all of Friday. I was able to improve my time, but my position in class stayed the same. Mark Madarash moved into 1st and John Hogan dropped back to 3rd, just 0.028 behind me. Saturday morning, we woke up to rain which meant no hope of fighting for the win. It stopped raining before our heat, but the course was still properly wet. We didn't dry/fly half way across the country to sit in the truck, so we kept the slicks on and had some fun in the wet conditions. It was a bit dicey in the deeper-water sections, but at least I know how the car feels on slicks in the wet (not so great....). 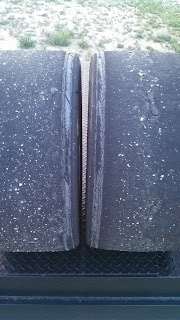 It dried out during the afternoon and I spent all afternoon at the test and tune course trying to dial in the balance for the Lincoln surface. 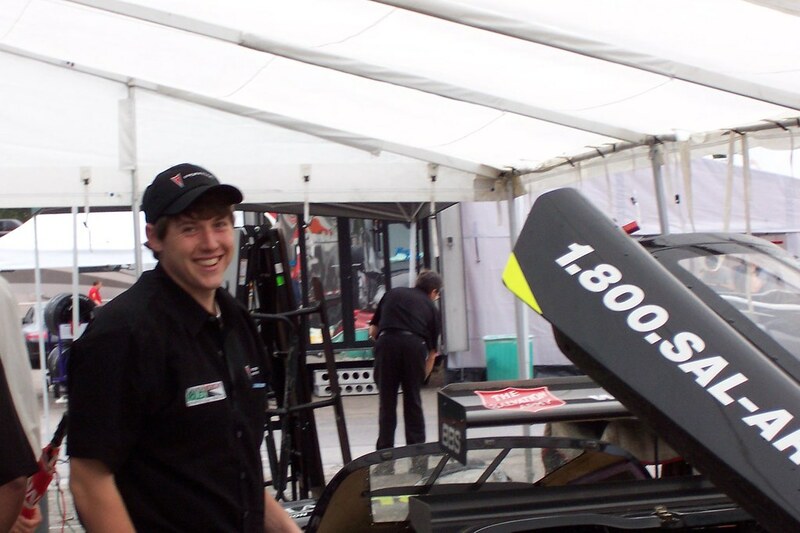 Thanks to Sam Strano and Junior Johnson for helping get some laps on the TNT course and continue to sort the car. After the ProSolo 2nd place, I was really pushing to improve just one more position at the Tour! We had 14 drivers in ESP for the Tour. With a mixed forecast for Sunday and Monday, it was anyone's game. As you could read in my previous post, the Tour went well and I was able to come away with the win. 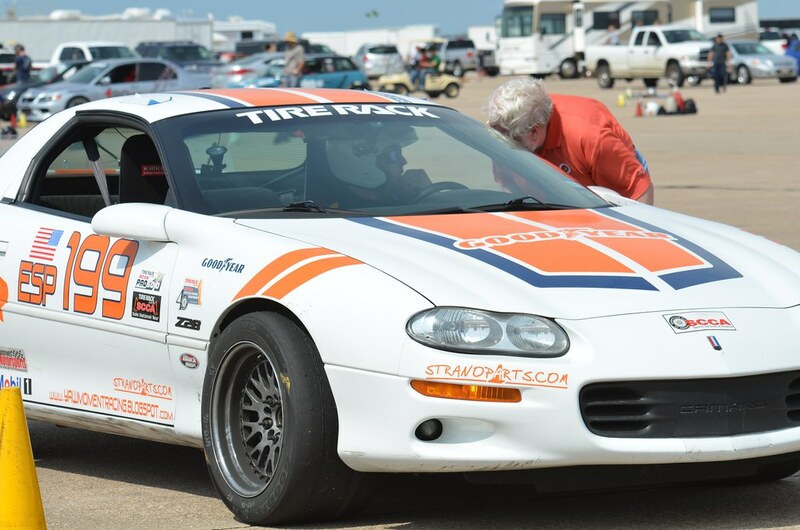 It was my first SCCA National win since I won the A Stock Championship in 2011 so it was very satisfying to get the first win in the Camaro. After Sunday, I was a little over 4 tenths back from Mark Madarash so I still need to find some raw pace in the dry before the Solo Nationals in September. 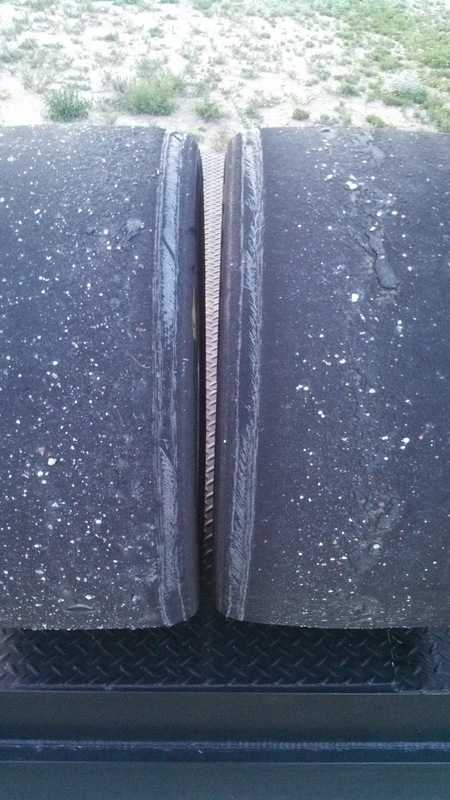 The car felt the best it ever has on the Lincoln concrete so we are moving in the right direction. Thanks to my Dad and Ali for the great photos!